After the 2016 US election, social media services have felt increasing pressure to improve the integrity and quality of information its users discover in their ecosystems. 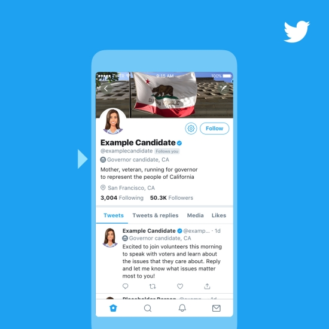 This week, Twitter announced US election labels, which essentially act as enhanced verified badges specially made for candidates running in this year's US midterm general election. The company also announced its "Political Campaigning Policy" to make it easier for users to understand exactly who is backing political ads. These are two steps Twitter is taking to make good on its vow to protect its users from misinformation and bad actors abusing its platform. 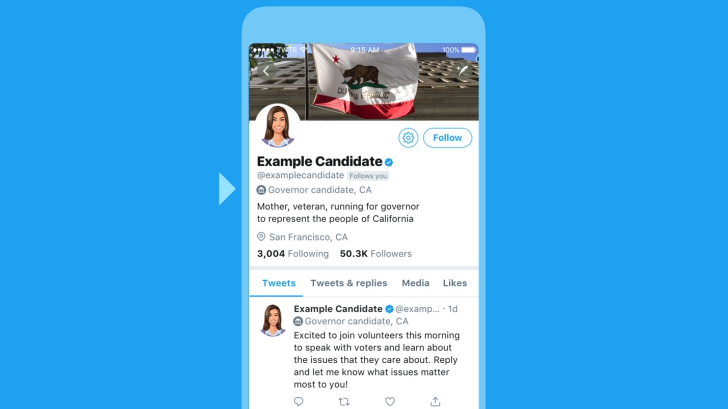 Twitter's US election labels will be denoted by a small gray icon of a government building (columns and a dome, of course) and display the office the candidate is running for, the candidate's state, and the candidate's district number when relevant. These labels will be located underneath the candidate's Twitter handle in their profiles and underneath their names within their tweets. They will also appear in retweets made by the candidate and in their tweets embedded outside of Twitter. These election labels will appear on the campaign Twitter accounts of candidates running for governor, or for the Senate or House of Representatives during the 2018 US midterm general election. The company is partnering with nonprofit Ballotpedia to properly identify campaign accounts. The labels will appear starting May 30th for candidates who qualify for the general election ballot. Twitter will get consent from candidates before putting an election label on their account. Twitter also announced its Political Campaigning Policy in the US, which requires anyone who wants to run political campaign ads for federal elections on the social platform to self-identify and certify that they are located in the country. "In addition, we will not allow foreign nationals to target political ads to people who are identified as being in the US," the company said in its announcement. 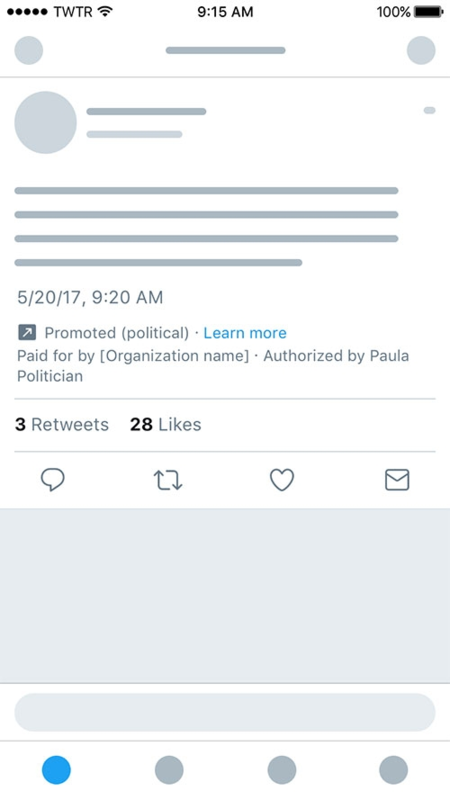 Twitter handles used for political campaign advertising must also comply with stricter requirements. Profile and header photos and the website listed in the bio (which has to include valid contact information) must be consistent with the handle's "online presence." 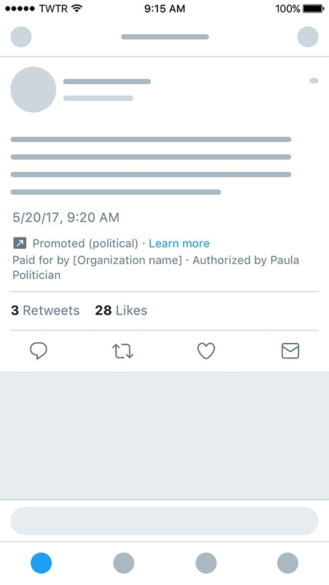 Tweets promoted by political campaigns will also have badges and disclaimers to make the backer of the ads clear. They will also show whether they were authorized by a candidate. Twitter will begin enforcing its new policy this summer. 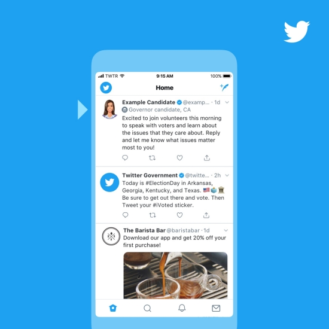 These enhancements are part of Twitter's plan to improve the quality of information on its platform. In January, the company shared its findings from a review of how the Russian government-linked organization called the Internet Research Agency (IRA) conducted a propaganda campaign on its platform. Twitter notified 1.4 million US-based users who may have come in contact with an IRA-linked Twitter account during the 2016 US general election. It's nice to see Twitter take good-faith steps toward protecting its users from misinformation. Here's hoping they can keep up with the bad guys.